Fiji has created history by winning the Hong Kong title for the fifth consecutive time. This is an unprecedented achievement for our side. Right from the first whistle Fiji out­muscled their opposition. It was for sure that Fiji wanted it more. France toiled really hard in the final but it seemed like the script was written for Fiji. The players really stepped up to the task and nullified all challenges that came their way. The excellent win against New Zealand set the platform that we could sense that vic­tory is imminent. As always the sevens team continues to break records and set new standards. For Baber and the team congratulations for the job well done. A straight-forward, factual letter by Tukai Lagonilakeba regarding the equal share pol­icy of lease money to iTaukei landowners (Fiji Sun 07/04). In the same Sunday issue of the Fiji Sun I wrote about Parliament having several L-Plate parliamentarians in the house. I was referring to those newbies in the Op­position who were basically making a fool of themselves during the last sitting, which I found amusing! On the other spectrum from the newcom­ers are more experienced Opposition par­liamentarians such as MPs Niko Nawaikula and Pio Tikoduadua that Tukai mentioned. There are a lot of them in the opposition and I call them old-fashioned thinking par­liamentarians! Stuck in a time warp of our great-grand­fathers they are just too old fashioned and dislike change. They are strong conservative diehard traditionalists and they sound more like a broken record that is absolutely bor­ing and old school. They are just not willing to try new things. They fail miserably to appreciate moder­nity and remain out of touch with the needs of today’s Fijians. 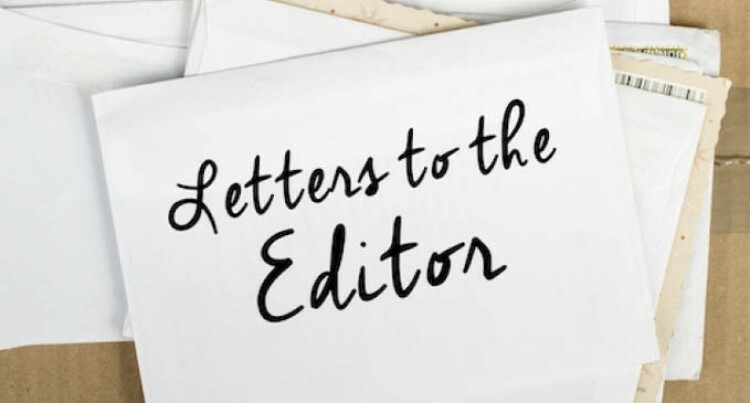 Times have changed and that old-fashioned way of thinking has no place in our Parlia­ment and in today’s Fiji. We currently have a debunked opposition with inexperienced newcomers and old-fash­ioned old timers! In India elections are held every five years and the environment leading to the election is nothing short of a grand festival. The first phase of elections is scheduled to be held from April 11 and this will continue until all seven phases are completed. And the results are expected to be an­nounced on May 23. The lead-up to elections have had some very dramatic developments where political parties have launched scathing attacks and counter attacks. Massive rallies are being held throughout the country. Those candidates who have been dropped from their own party have opted to join oth­er alternative parties. The most prominent amongst these is for­mer Bollywood actor Shatrughan Sinha. Af­ter rejection from BJP he has now formally joined the Congress Party and will fight the election from Patna Saheb in Bihar. The Pulwama attack by the terrorists on the Indian army convoy in which 40 soldiers were killed created a euphoric call for re­venge against Pakistan. Twelve days later the Indian Air Force at­tacked Balakot terrorist camps in POK (Pa­kistan Occupied Kashmir). This act cata­pulted Modi in the popularity ratings. The Congress Party released its manifesto and it immediately came under scathing at­tack as being anti-national. Rahul Gandhi’s decision to fight the elec­tion in a second constituency has created a furore of sorts. His traditional constituency at Amethi is under threat by BJP candidate Smriti Irani. Rahul’s second constituency of Wayanard is in the state of Kerala. Some political pundits say this too is not a safe seat for Congress. The film PM Narendra Modi: The story of a billion people has also created a sensation. This biopic has Vivek Oberoi in the lead role. This too has come under heavy attack and the opposition parties have asked the supreme court to have the release dated de­ferred. In another development, the opposition parties have asked the Election Commission to have the announcement of the election results deferred by six days to ensure its in­tegrity. EVM machines are at the centre of the protest. The political drama continues and now the Bollywood actor Naseeruddin Shah has jumped into the political arena to oppose Narendra Modi. Bollywood is divided on this issue. In this election national pride and national­ism seem to be the key issues. In my view this is democracy at its best. The recent tragedy in Christchurch, New Zealand, brought shock and disbelief across the globe. While many New Zealanders are still try­ing to come to terms with this, the sad and painful reality is that it can occur anywhere at any time as it takes one crazy person to conduct a silly act. Moving forward, one wonders whether there is a need for us to review our gun laws at home. How many individuals have gun licences? How many guns are out there, apart from those kept by the military and Police? What happens when guns are reported missing? What controls do we have over the number and types of guns in country? All in all, it is worth reflecting on the gun issue because there is a safety aspect that should be taken into account. Realistically it is a very rundown munici­pality. The roads and streets inside the town are all in a poor condition, including the back streets and alleyways with its town drainage in very atrocious conditions. Walkways in the town do not comply with OHS (occupational health and safety) stand­ards where there are many broken tiles. Some buildings have never had a facelift for the past 50 years and they look ugly and dirty. You have to dodge potholes and badly-patched ones inside the town area and, to top it off, the supposed to be iconic FNPF (Fiji National Provident Fund) building is an eye­sore being left unfinished. It is a hazard and a risk to all and I would like to ask the chief executive officer (CEO) for FNPF to explain to its members what the problem is because we have every right to know. There are two very old bridges from both ends of town with traffic congestion at peak hours both morning and afternoon. The road in front of Namotomoto Village and the junction to Denarau needs urgent fixing and our town parks are very dirty. The bus station is filthy with the many old outdated buses that spew carbon monoxide like volcanic lava every few second. You cross over the two Nadi bridges and you will be subjected to an eyesore of plastic bottles and bags of garbage in the river, but I do take solace that our Minister for Local Government is not rushing the city status despite the irresponsible push from those town fathers who even owe town rates. I believe they should be taken to task for that. I am adamant it will take the current town administration another four years before we can finally call Nadi a city. Let’s start by collecting all that is owed by the ratepayers first so the NTC can carry out the necessary works required. To top these off, Nadi Town is a very dirty town with irresponsible littering every­where one goes in town. I would like to ask the FRA (Fiji Roads Au­thority) CEO to please construct bus stops on both sides of the two-way lanes to and from Denarau because it is very dangerous for all road users when a bus or car stops in the middle of the road for pickups. What a shame for all those pushing for Nadi to be declared a city? The Nausori Health Centre is a hub for most of the people in the Nausori area suf­fering health issues. The health centre is usually crowded with patients, but the pace at which the nurses serve the patients is quite slow. Sometimes it takes the whole day to be seen by a doctor. At night times when people visit the health centre it is quite risky because the nurses are sleepy. Just wondering why big companies and the Government can’t give money to the Walk On Walk Strong organisation. Why do ladies and gentlemen have to have their heads shaved to raise money? World Health Day is celebrated on April 7. Instead it should be our health day and most importantly it should be celebrated every day because a healthy body lifts the spirit of a healthy person. It was first celebrated worldwide in the year 1950 as the World Health Day. It is an annual event being celebrated for years to raise public awareness on health is­sues and concerns. Fijians are not convinced when it comes to being health conscious, but NCDs (non-com­municable diseases) are on the rise. World Health Day targets all the health is­sues on a global basis for which several pro­grammes are organised yearly by the WHO and other related health organisations at various places such as schools, colleges and other places. World Health Day celebrations focus on increasing life expectancy by adding good health to the lives of people and promoting healthier living habits. Youths of the new era are also targeted by this event to make them healthy to make the world healthy and free from AIDS and HIV. It provides better prevention and cure from the vector-borne diseases spread by vectors and travellers from one country to another. To promote self-care among people and have a depression-free society. To motivate and promote efforts in cre­ating healthy environments in communities. To increase the public awareness of var­ious causes and prevention of NCDs. To provide detailed knowledge of pre­vention from various diseases and their complications.